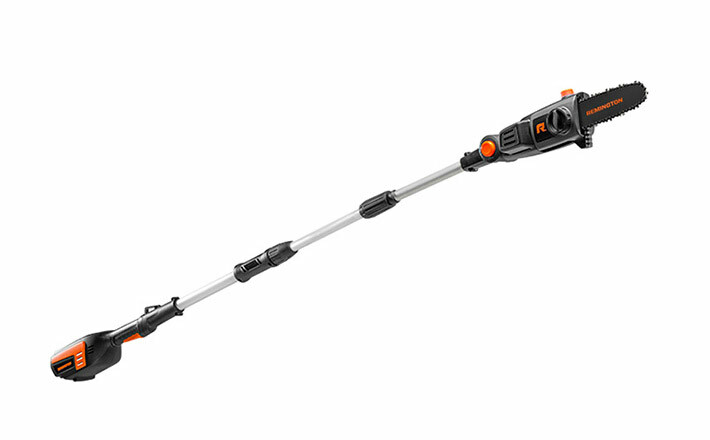 Tame your wild weeds and tall grass with confidence when you use this 40V battery-powered, powerhouse trimmer. Adjust the head for edging and get every inch of your yard looking just the way you like it. The 40V lithium ion battery is interchangeable between each member of the Remington 40V family including: 41AE40VG983, 41AG40VG983, 41AN40VG983, and 41AL40VP983. 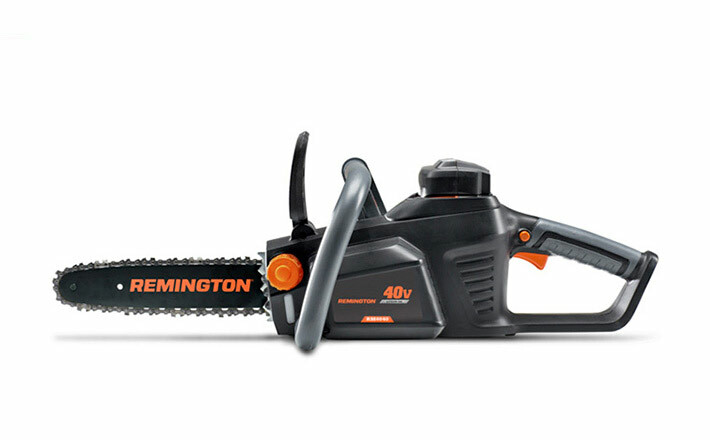 • 2.5 Ah battery is interchangeable between entire Remington 40V family (not recommended with chainsaw). Recommended for: 41AE40VG983, 41AG40VG983, 41AN40VG983, and 41AL40VP983. • Straight shaft provides access to hard-to-reach areas; variable speed trigger for greater control and comfortable handle with loop for shoulder straps. Backed by a 3 year limited residential warranty. 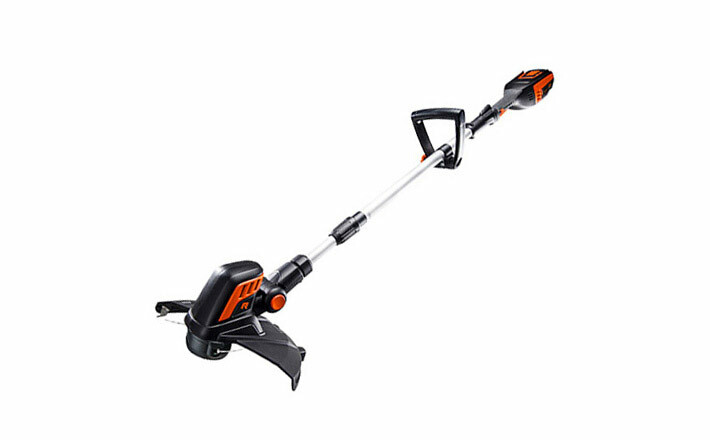 Take on even the toughest branches with comfort and ease when you use this 40V battery-powered hedge trimmer - without the fuss of cords and fuel. The 22-inch dual action cutting blades will give you a precise, clean cut every time, helping you to shape your hedges in a snap. The 40V lithium ion battery is interchangeable between each member of the Remington 40V family including: 41AE40VG983, 41AG40VG983, 41AN40VG983, and 41AL40VP983. • Powerful 40V Max/36V Nominal Capacity, comes with 2.5 Ah, 90 Wh battery and 1.8A charger (also 4 Ah and 5 Ah capable); Reaches full charge in 105 minutes with the Remington RM4110 40V charger. • Great for light-medium trimming with ability to cut branches up to 3/4" diameter. When debris and leaves start to pile up, you need a blower that can help you clean up freely with ease. 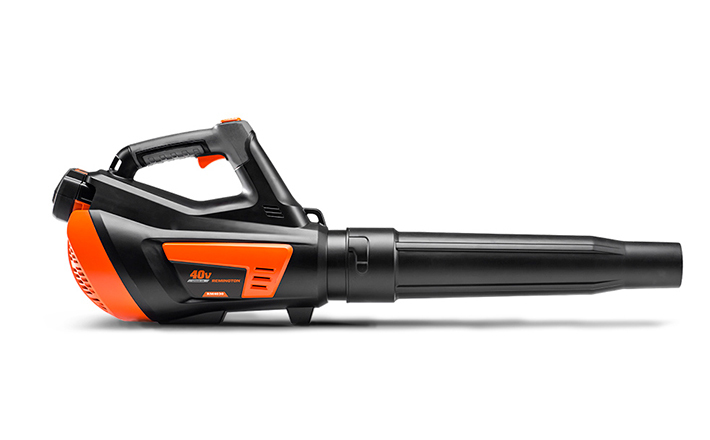 The cordless 40V battery-powered blower delivers a strong, steady stream of airflow with speeds up to 135 MPH. So you can quickly get back to enjoying your yard instead of cleaning it. Compact yet mighty, this 40V battery-powered chainsaw allows you to trim branches and limbs like a pro. With its 12-inch bar and chain, you'll be cutting trees with the precision of a lumberjack in no time. • Powerful 40V Max/36V Nominal Capacity, comes with 4 Ah, 144 Wh battery and 1.8A charger (Only 4 Ah and 5 Ah capable); Reaches full charge in 135 minutes with the Remington RM4110 40V charger. • 4 Ah battery is recommended with this product. • Metal bucking spike prevents the saw from jumping when pivoting; bar scabbard included with purchase. Backed by a 3 year limited residential warranty. 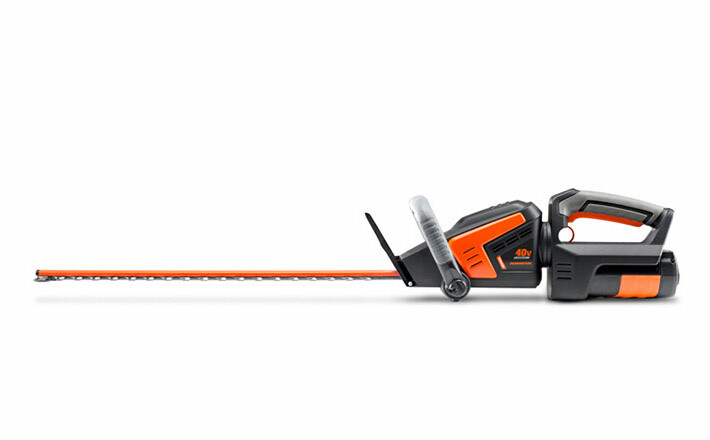 The RM4050 40V battery-powered pole saw does double duty on your tree's branches and limbs. The 8-foot telescopic boom helps you bring down high branches, and the adjustable 7-position head allows for multiple cutting angles - all powered by battery. The 40V lithium ion battery is interchangeable between each member of the Remington 40V family including: 41AE40VG983, 41AG40VG983, 41AN40VG983, and 41AL40VP983. • 8-foot telescopic boom adjusts distance from saw to handle providing operator comfort; saw scabbard included with purchase. Backed by a 3 year limited residential warranty. With a 1.8A output, this charger is compatible with all Remington 40V Max batteries. It’s equipped with a charge indicator light, so you’ll know when you’re ready to tackle the lawn, trees, hedges, or anything in-between. Comes with a 3-year warranty. This rechargeable lithium ion battery will power your Remington 40V String Trimmer, Hedge Trimmer, Leaf Blower or Pole Saw so you can tackle many jobs with ease. 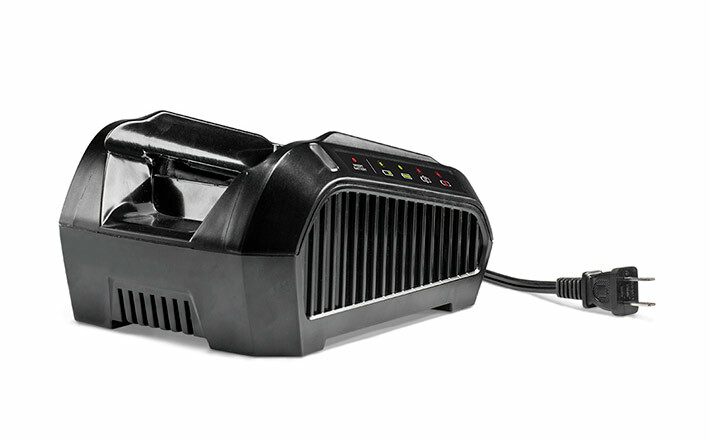 Simply charge it up on the Remington RM4110 40V charger and you’ll be up and running in no time. Comes with a 3-year limited warranty. This rechargeable lithium ion battery is recommended for use with the Remington 40V Chainsaw but will also power your String Trimmer, Hedge Trimmer, Leaf Blower or Pole Saw giving you the convenience of a battery no matter what the job. Use along with the Remington RM4110 40V charger and you’ll be good-to-go, all year long. Comes with a 3-year limited warranty. 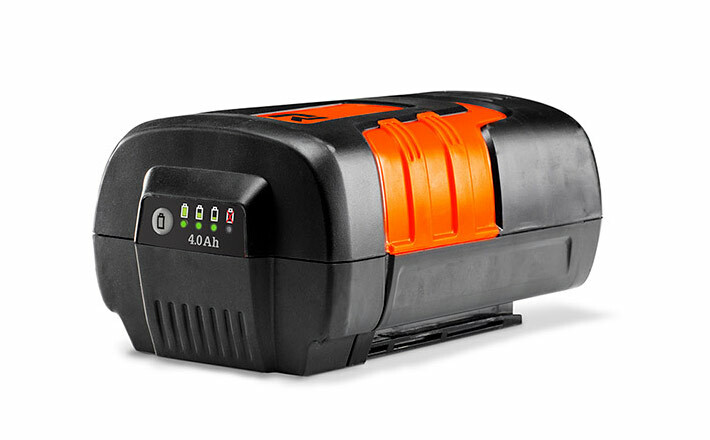 Perfect for use with the Remington 40V Mower, this rechargeable lithium ion battery can also power your String Trimmer, Hedge Trimmer, Leaf Blower, Chainsaw or Pole Saw. 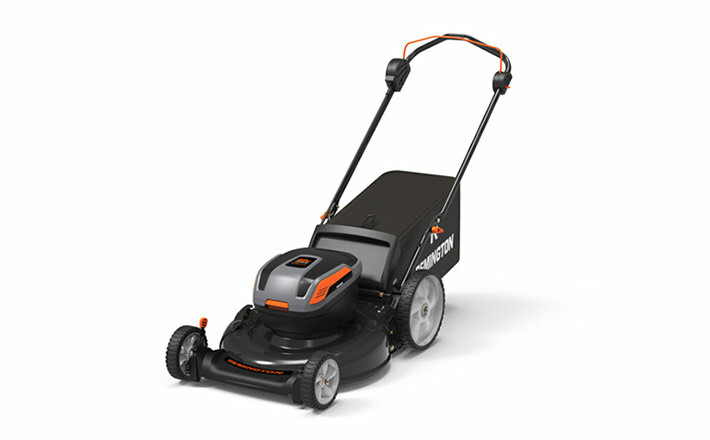 Use along with the Remington RM4110 40V charger to get you up-and-running for any yard work that comes your way. Comes with a 3-year limited warranty.